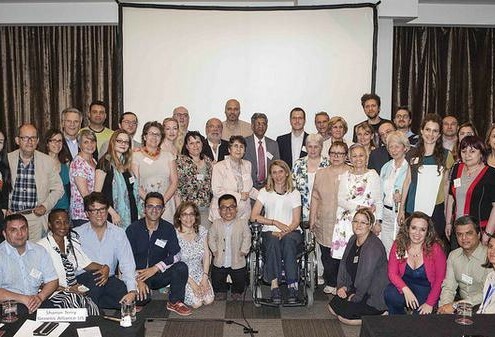 IPOPI together with around 60 other patient group representatives participated in the official Launch Meeting of Rare Disease International (RDI), on 28 May 2015 in Madrid (Spain). The meeting featured on its programme the adoption of the principles of a Joint Declaration calling for rare diseases to become an international public health priority. Johan Prévot, IPOPI’s Executive Director, was invited to present on IPOPI’s advocacy work with international organisations, such as the World Health Organisation (WHO). The RDI initiative, which is at the moment is still in its infancy, has been led by EURORDIS and national rare disease alliances from the United States (NORD), Canada (CORD), Japan (JPA), China (CORD), India (I-ORD), the Ibero-American pan-regional alliance (ALIBER) and the International Federation for Epidermolysis Bullosa (DEBRA International). The next annual meeting of RDI will take place in May 2016 in Edinburgh. 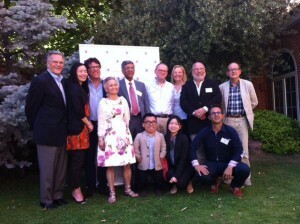 The launch of Rare Disease International was held back to back with the Eurordis Membership Meeting in Madrid (Spain) on 29 and 30 May. The Membership Meeting brought together over 200 participants, representing patient organisations, policy makers and other stakeholders. As in previous years, Eurordis held its General Assembly and organised a series of informative workshops on the following relevant topics for the rare disease community: European Reference Networks; Research; Access to orphan medicinal products; Centres of expertise; and social policy. All the presentations showed during the workshops are available here.